[toc]Vomiting is basically a body’s warning that it is unwell and is not a health condition in itself. In this process, people emit the contents of their stomachs via the mouth. Stomach disorder, pregnancy, food poisoning, consumption of alcohol in large quantities, excessive eating and viral infections are the most common causes of vomiting. Increased heartbeat, dizziness, formation of excessive saliva in the mouth and fluctuating body temperature are the symptoms of vomiting. People can prevent the problem of vomiting when they experience these symptoms by following some simple and easy home remedies. Places that smell bad or have strong odors should be avoided because they make people regurgitate and this leads to vomiting. People should either lie in front of a fan or cover their face with a cool washcloth. An upset stomach is often soothed in a cool and nice environment. An empty stomach should be avoided and small meals should be taken daily. Seeds, whole grains, lean meats, pulses, dairy products, beans and well-cooked eggs are some sources of protein that should be included in the diet. When feeling nauseous, a teaspoon of ground cumin seeds can be helpful. Avoid the places, smells and sights that aggravate nausea. The stomach can be irritated by alcohol and everyone who has suffered a hangover is aware of this fact. 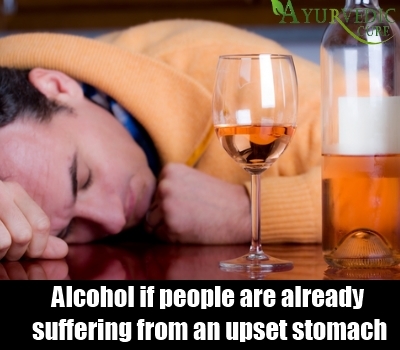 It is not the time to imbibe alcohol if people are already suffering from an upset stomach. Moreover, if alcohol is the reason behind the current condition of upset stomach, it should be avoided in the future because it will only worsen the problem instead of improving it. Cigarettes, fatty foods, beverages with high amount of caffeine and highly seasoned foods can have the same impact. The stomach is coated and the discomfort can be eased by taking over the counter medications that comprise of bismuth like Pepto Bismol. 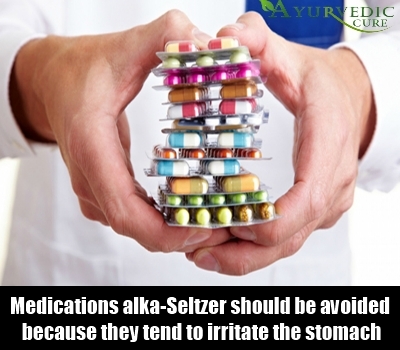 However, aspirin containing products like Alka-Seltzer should be avoided because they tend to irritate the stomach. 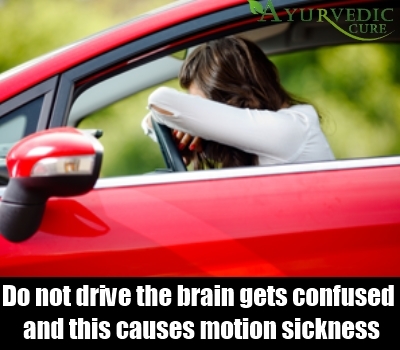 The brain gets confused and this causes motion sickness. This means that the limbs of individuals are stationary, but their eyes are moving. People should keep on sitting, but raise their knees as if they are marching. But, this shouldn’t be done when driving. People should pull over if they are driving. They should get out and walk back and forth a few spaces while holding their breath after inhaling and then exhaling. Almost everyone will benefit from it. The driver can be asked to pull over if you are a passenger. When people are vomiting and feel nauseated, they should avoid eating solid foods, but shouldn’t ignore the fluids. 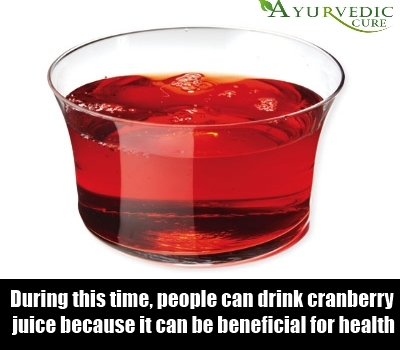 During this time, people can drink cranberry juice because it can be beneficial for the digestive tract. This juice can be immensely helpful if people feel they are about to vomit. In a cup of water, people should add half a teaspoon of sugar, a few drops of lemon juice and a pinch of baking soda. 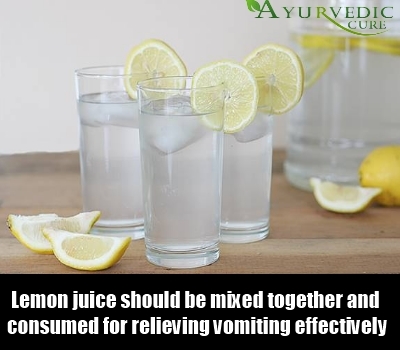 It should be consumed after mixing properly and will definitely relieve vomiting. People can also take mint and lemon juice in equal amounts and add some honey and ginger juice to them. They should be mixed together and consumed for relieving vomiting effectively. The problem of vomiting can be cured with the ingredient ginger. The digestive system is benefitted by ginger. Unnecessary secretion within the stomach often gives rise to vomiting and ginger has the ability of blocking this secretion. 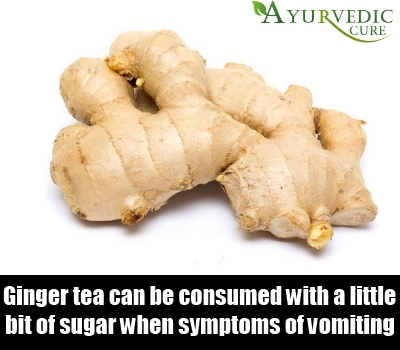 Ginger tea can be consumed with a little bit of sugar when symptoms of vomiting appear. People can also take some salt and fresh ginger slices or fresh gingerbread for getting instant relief from vomiting. 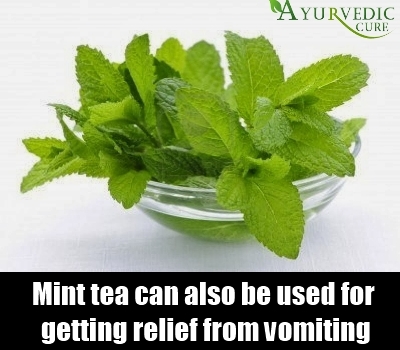 Mint tea can also be used for getting relief from vomiting. Take a cup of boiling water and add one tablespoon of dried mint leaves to it. For half an hour, the leaves should be steeped, after which the tea can be strained and consumed. The mint leaves that are used for making the tea can also be chewed by people. Vomiting can also be cured by simply chewing fresh mint leaves. Another mixture can be formed with one teaspoon honey, half teaspoon ginger juice, one teaspoon lime juice and one teaspoon mint juice. All the ingredients should be properly mixed and it should be taken for relieving vomiting. 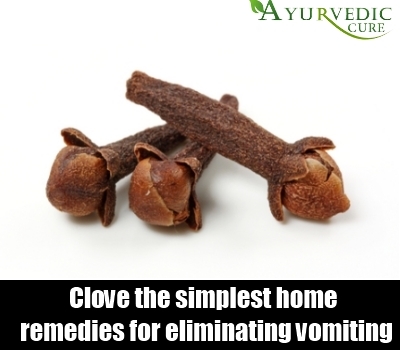 Chewing some raw cloves is said to be the simplest home remedies for eliminating vomiting. Anesthetic and antiseptic properties are possessed by cloves, which cure vomiting and improve digestion. In order to treat vomiting, people can use a few cloves to make tea. People can also take a glass of warm water add a few drops of clove oil in it and consume it for eradicating vomiting. Licking the powder of fried cloves along with honey is another way that vomiting can be cured with cloves. 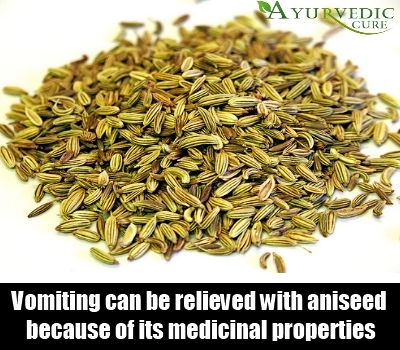 The treatment of vomiting is possible with Aniseed. Vomiting can be relieved with aniseed because of its medicinal properties and people simply have to chew a teaspoon. A cup of herbal tea can also be made with aniseed. Take half a cup of boiling water and put half a teaspoon of aniseed in it. It should be steeped after straining for several minutes and then consumed. Roasted aniseed can also be sprinkled on mild vegetables like pumpkin and carrots before they are eaten. 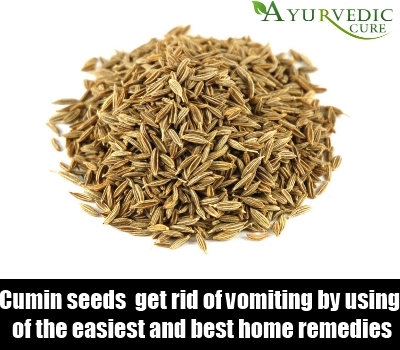 People can simply get rid of vomiting by using of the easiest and best home remedies that involve eating half a teaspoon of grounded cumin seeds with water. People can also take a cup of boiling water and add pinch of nutmeg and one teaspoon of cumin seeds to it. For several minutes, it should be allowed to steep. The mixture should then be strained and consumed. People can also stop vomiting effectively by taking one teaspoon of honey and adding some cardamom powder and cumin seeds to it. It should be consumed slowly. However, even after all these precautions, people still feel like hurling then they should throw up. The burning in your throat will be healed and your stomach will stop feeling queasy.